This upscale island resort is 6 km from Kendhoo Island. It is accessible by seaplane from Malé, the capital of Maldives. The luxurious over-water and beach villas offer free Wi-Fi, flat-screen TVs and minibars. All provide private pools, open-air bathrooms with hot tubs, and sea views. Upgraded villas add elegant living rooms, dining areas, butler’s kitchens and private beaches. 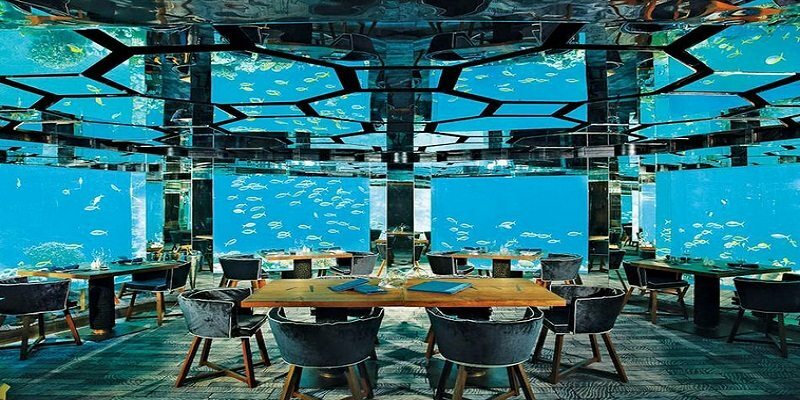 Amenities include an underwater restaurant featuring international cuisine, an Italian restaurant and pool bar with a modern vibe, and 4 open-air restaurants. There’s an outdoor pool, a spa and a diving center. Watersports, tennis and private beaches are also available.